Do You Want the Perfect Horse? 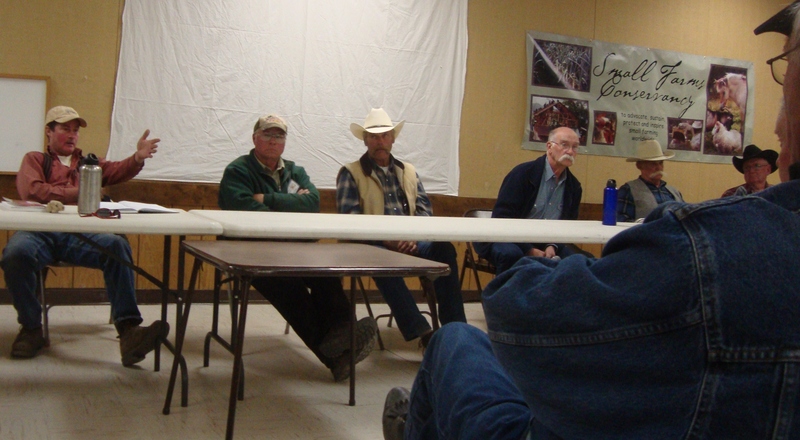 Doc Hammill Horsemanship Workshop in 2014! Do you have the relationship you want with your horse? How would you like to understand what your horse’s behavior and body language is telling you? How would you like to develop Trust, Respect and leadership in your relationship with your horse? and acquire the horsemanship skills you have been wanting to achieve. We are booking for our 2014 Workshops Now and would love to put your name on our list of successful participants! 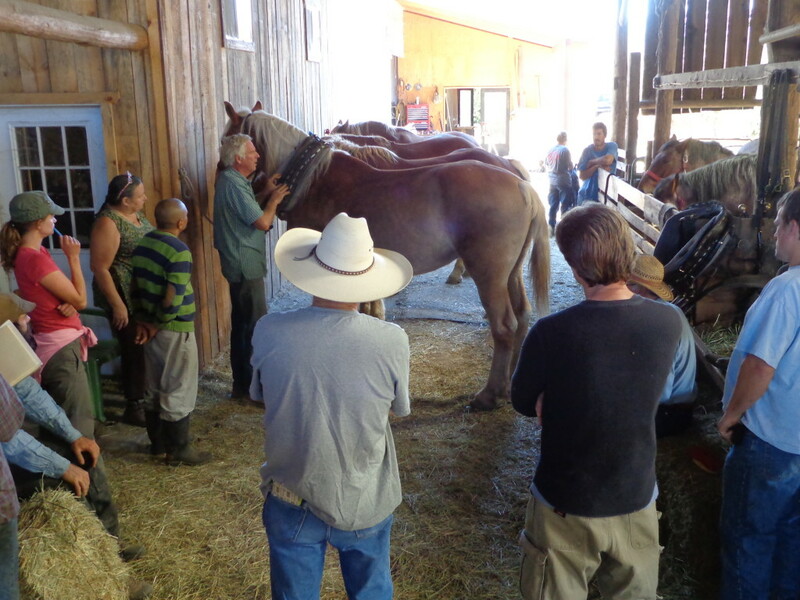 Throughout our workshops we will be teaching you how to communicate and interact with horses in gentle, safe, effective ways that they inherently understand and are comfortable with. 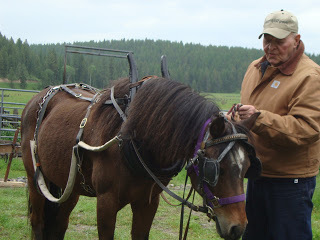 A lot of hands-on time will be devoted to learning and practicing the principles, techniques, and details of harnessing, harness adjustment and collar fitting, hitching, and driving and working horses in harness. We will work primarily with single horses and teams of two, with the possibility of some time devoted to larger hitches. 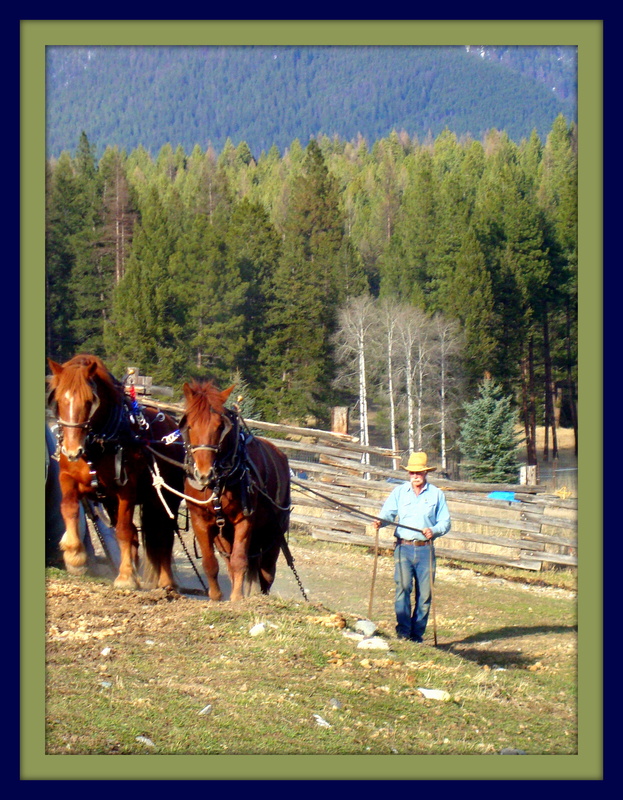 For detailed information about specific Workshops at Doc’s Ranch and Doc Hammill Horsemanship Workshops in an area near you, just go to Doc’s Website and click on the Workshops drop down menu. Hope we meet you at a Doc Hammill Driving Workshop soon! SUCH ENERGY!!! There is nothing like it! As always this is an Amazing event! So much more than a auction; Four days filled with continuous varied educational programs, networking with like minded people, experience and expertise of teamsters, craftsmen and artists. From the inspirational young farmers with their energy and enthusiasm to learn and choose a life of farming, coupled with the energy and enthusiasm of seasoned and knowledgeable teamsters wishing to pass on their expertise in an effort to help keep animal powered revival moving forward. The auction, with all of the equipment and vehicles assembled in one venue is in itself a wonder. 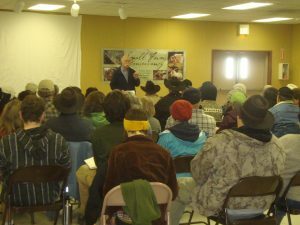 On the evening prior to the start of Doc Hammill’s Farming and Working Horses in Harness Workshop, Doc often gives a presentation,“The Mind of the Horse” that is open to the public and free of charge. This provides Doc an opportunity to share with people his insights into how horses perceive, react, think, learn, respond and communicate. Doc believes by giving people this fundamental knowledge, they then can use the information to get horses to willingly cooperate as partners, rather than being forced. The workshop starts the following morning with a combination of sharing more information about horses’ minds, physiology, reactions and perceptions and students being involved in hands-on activities. Having a variety of presentations and activities for students considers and addresses different learning styles. Having instructors to assist Doc provides students more one-on-one time. For beginning students, getting the harness on a big horse can be just a bit overwhelming. Steven Decater, an experienced teamster, and his wife Gloria, owners of Live Power Community Farm made it understandable. His explanation and demonstration of how to put harness on a horse was thorough and straightforward. Then students in this workshop were given plenty of time to practice harnessing and unharnessing the horses themselves. 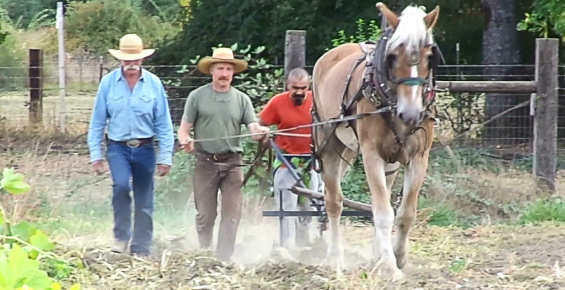 Live Power Community Farm, an Organic and Bio-dynamic horse powered farm, hosted Doc’s 4th Annual Farming and Working with Horses in Harness here at Covelo, California. Ten students from California and Washington attended this 2 day event. The diversity of the students attending Doc’s workshops is always amazing. 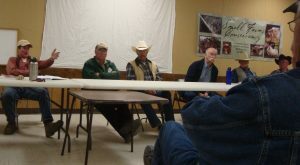 In attendance in this workshop were an administrator of a Non-Profit organization, a NASA construction engineer, farm managers, farm apprentices, and the co-owner of a winery and vineyard. Some students were in their 20’s and just planning their careers. Others were older and thinking about retirement. Such diversity among attendees makes for lively discussions and exchange of ideas around the breakfast, lunch, and supper tables. 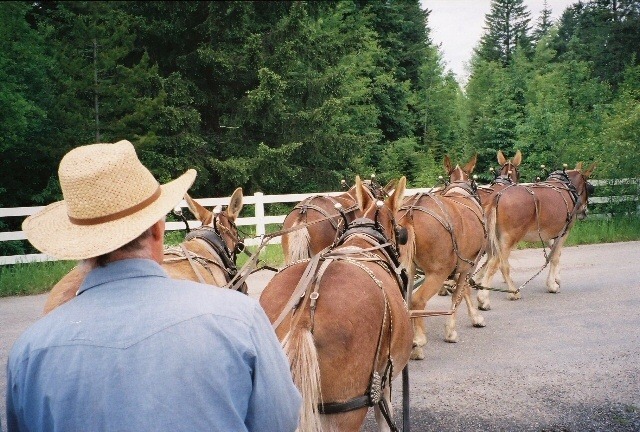 Even though some students had many years of experience around horses and mules, this was the first time most took the driving lines into their hands. This year, we had four capable instructors available to work one-on-one with students in hands-on activities. Doc and Cathy as well as Steven Decater and his oldest son Alexander were all here to help students gain as much understanding, wisdom, technique, and skill as possible during the workshop. Initially students cycled between ground driving single horses with Doc, Cathy and Alexander and driving two horse teams with Steven. If you are interested in attending one of Doc’s workshops at Covelo or elsewhere, click on “Workshops” in the menu above to view all of the workshops we have in the works! We feel privileged to have recently shared our home for a visit from Jay and Janet Bailey, of Fair Winds Farm, for a couple of days. 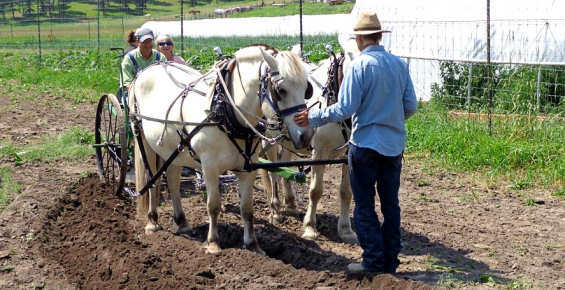 The Baileys live in Vermont, own and operate a horse-powered, organic market vegetable farm. Like us, the Baileys also offer intensive, hands-on horse-powered workshops that teach people how to drive and work horses in harness. We and the Baileys both admire, own, and use Suffolk Punch Draft horses in our personal farm work and in our workshops. We had much to talk about with this love in common…our own horses, their tractability, their energy, their great minds, and current trends in breeding. It was a great time for the Baileys to learn about the other breed of horses we own and use on the ranch and in our workshops, Norwegian Fjord Horses. The time together with the Baileys also gave the four of us the opportunity share, connect with resources, and network with each other about what opportunities, information and activities we provide (and would like to provide for Workhorse Workshop students). We want to stay connected to help each other provide the best educational experience possible for all of our combined current and future students. We spent some time hiking with them near the ranch to show them the remnants of the early logging in our area. Of course, what is a visit among horse-friends without a little horse work? 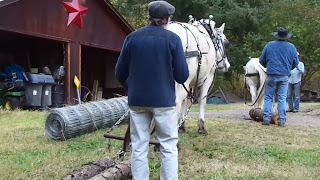 We shared a favorite activity with Jay and Janet….log skidding with Solven and Brisk, Norwegian Fjords, to get in a little firewood. Doc and I consider the time spent with these great people valuable to not only enjoy their company, but also to exchange ideas and to take time for recreation as well. Thanks Baileys for taking the time to ‘stop by and see us’ at Doc Hammill Horsemanship, here in Montana. 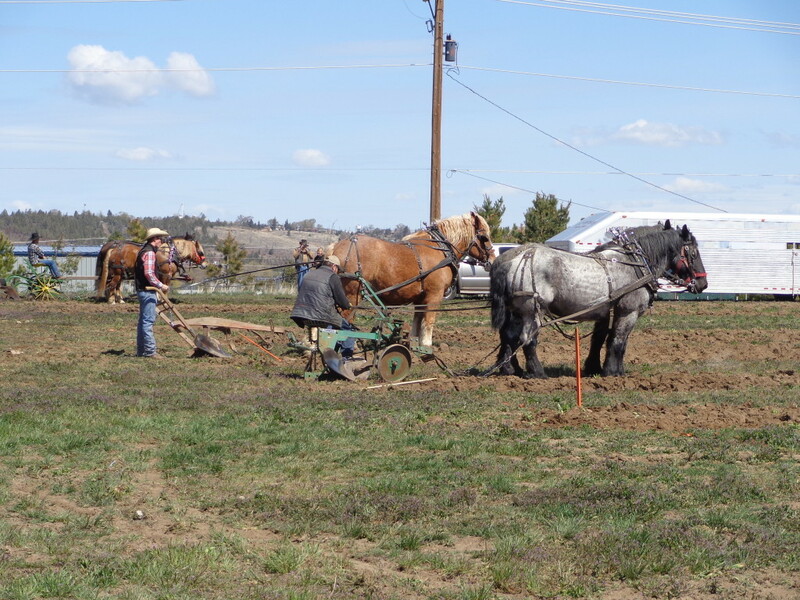 doing what we love … offering Workhorse Workshops to students in Oregon, Washington, and California, and providing personalized instruction to students and their horses on their own farms. 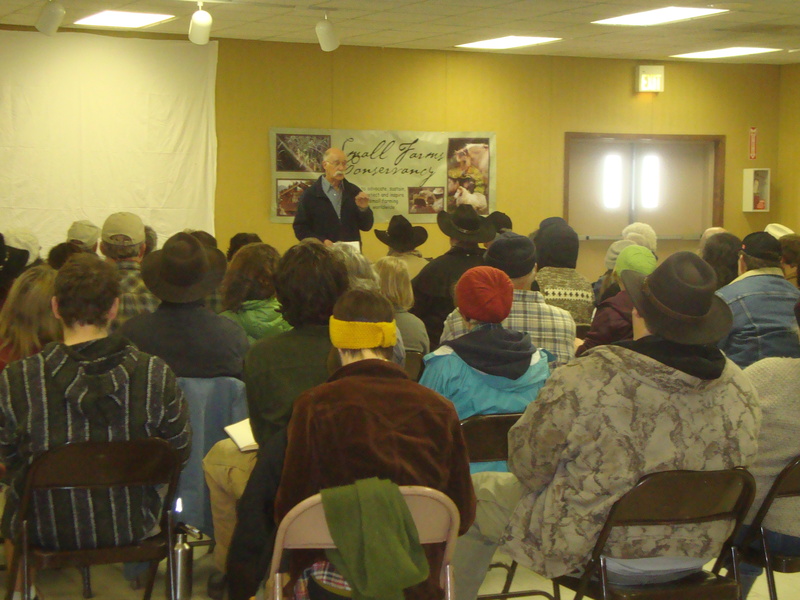 The workshops have turned out to be wonderful events for us, the hosts, and students alike. 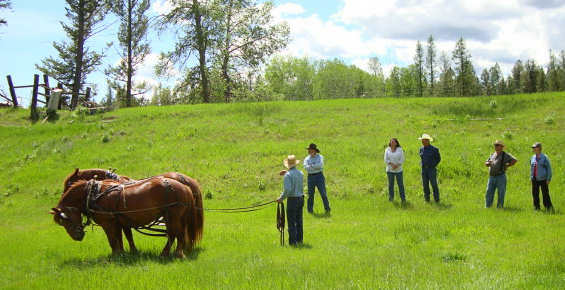 These recurring Workhorse Workshops are being hosted in some amazing places … most of them are horse-powered organic farms. 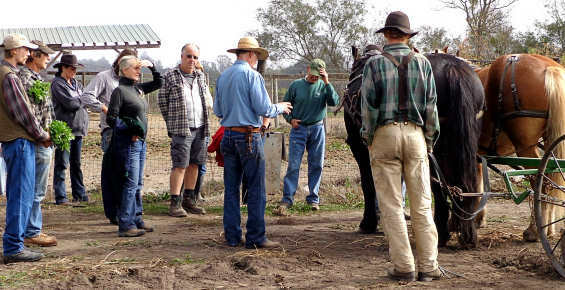 The working farms are perfect environments for hands on learning, with remarkable owner hosts who co-instruct with us. Thanks to our hosts the students get to work with outstanding horses and a wide variety of equipment. Opportunities for learning, networking, and sharing are endless. Cathy and I would like to share some of the experiences we’ve had during these times. Keep an eye on this “What’s New” section of our website — we will offer educational insights where it makes sense and share photos and commentary from the workshops, private lessons, and training sessions. We are honored to work with so many enthusiastic and dedicated students. By teaching people to better understand, communicate, and interact with horses, we are also following our passion of helping horses have better lives. Check back often, you might just see yourself or someone you know! Horse Logging Workshop "Its Not ALL HARD work!" Here is a fun video taken during a lunch break at our Horse Logging Workshop in September, 2011. The students are the musicians!